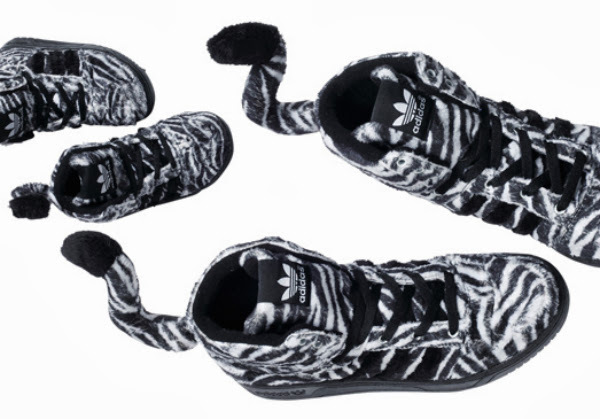 Fashion designer has created a number of masterpiece sneakers for Adidas over the past couple of years. Remember Jeremy Scott's controversial "shackle" sneakers that looked like slave shackles? This latest creation has black and white stripes all over it, a fuzzy texture, and, of course, a gigantic zebra tail sticking out the back of it. 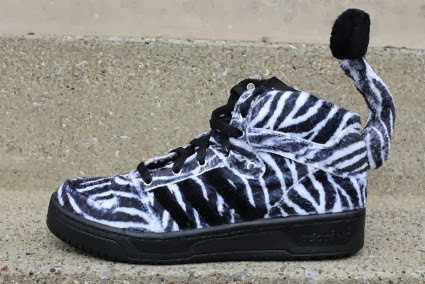 The adidas Jeremy Scott “Zebra” sneakers are available right now through select adidas retailers. I've seen them for as little as $83 and as much as $200, so if you can, try to shop around.